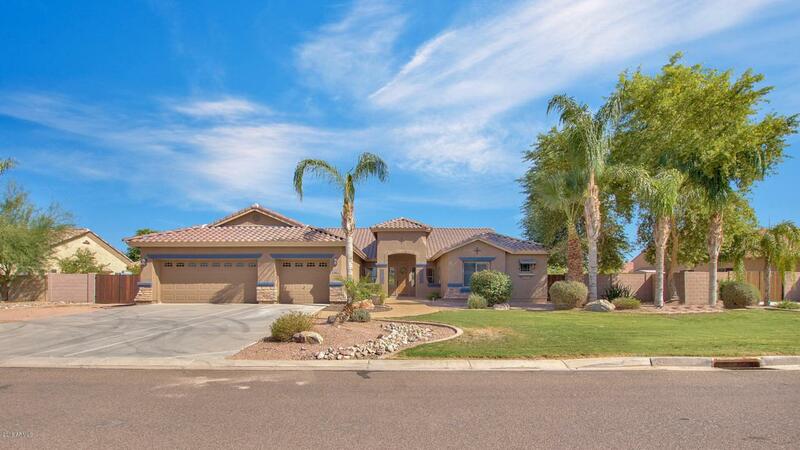 Stunning, single level home in the coveted South Chandler neighborhood of Estates at San Tan Vista and priced to sell! 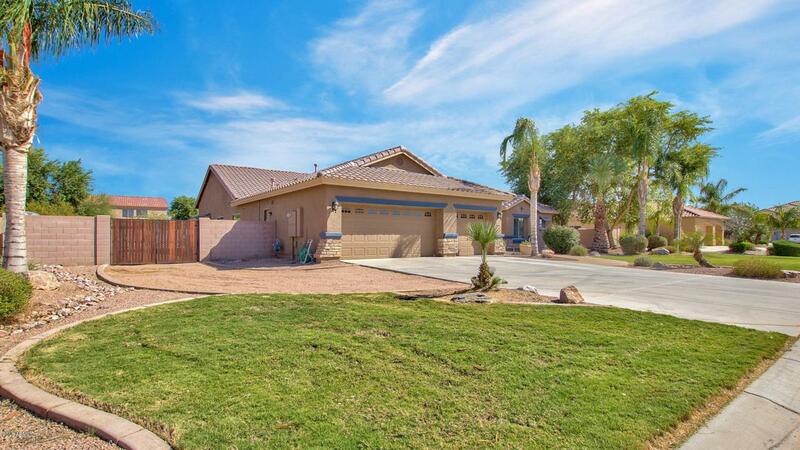 This property sits on a sprawling 1/2 acre lot. 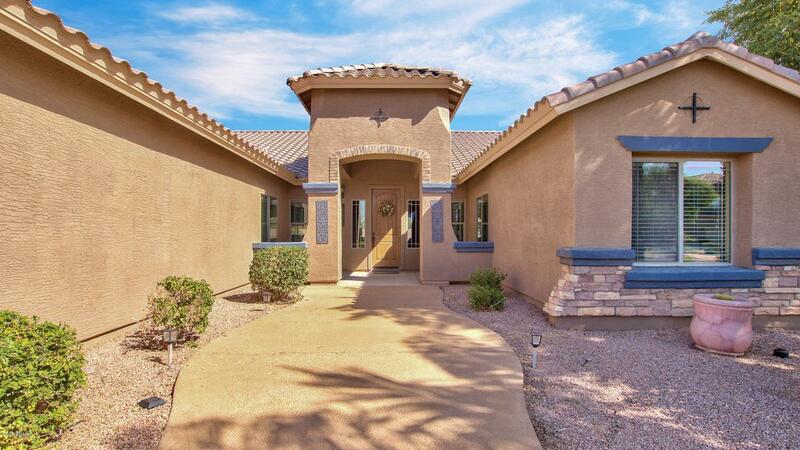 Gourmet kitchen with granite counters, stainless steel Electrolux double wall ovens, dishwasher, refrigerator, and a walk in pantry. 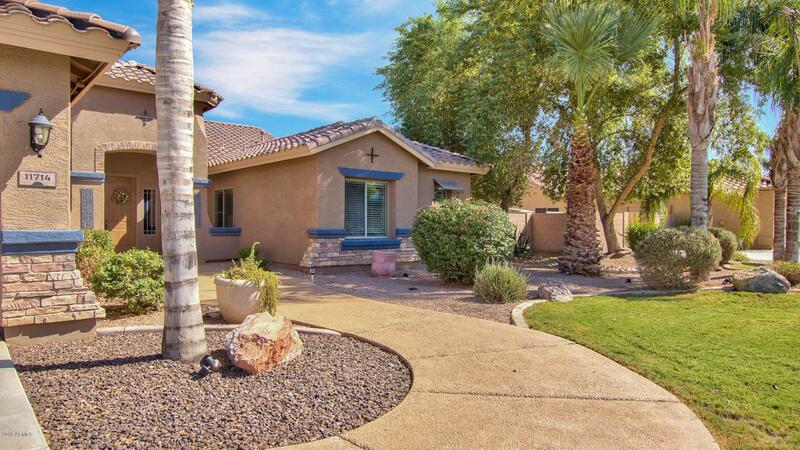 The split master is generous in size, has an amazing master bath, and exit to the backyard. One of the bedrooms is private and features an en-suite bath which your guests will love. In addition to the other bedrooms you will also find a bonus/flex room which makes a great library. 24'' Travertine tile and gorgeous wood floors throughout the majority of home. Custom rock work accents the fireplace, columns, and surrounds the breakfast bar. Cross Street Arizona Ave And Riggs Rd.